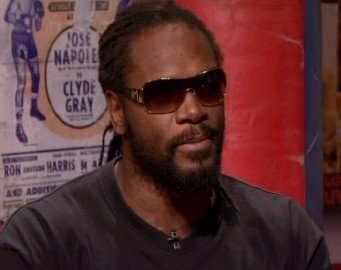 By Michael Collins: Former 2000 super heavyweight Olympic gold medalist Audley Harrison (28-5, 21 KO’s) figures he’s had the best preparation available for his fight next Saturday night on October 13th against British heavyweight champion David Price (13-0, 11 KO’s) at the Echo Arena, in Liverpool, Merseyside, United Kingdom. Harrison, 40, just spent four weeks with unbeaten former 2008 heavyweight Olympic bronze medalist Deontay Wilder (25-0, 25 KO’s) taking him through some tough sparring sessions and Harrison sees himself ready to take anything that Price can give after surviving those four weeks with the big 6’7″ Wilder. The difference between taking Wilder’s punches during sparring sessions and in the real thing are pretty huge. Wilder obviously was using huge gloves and headgear was also obviously being used. I’m sure Harrison could still feel the force of Wilder’s big right hands, but in a real a fight without the headgear, large gloves and with Wilder smelling blood, I’d be surprised if Harrison could last long against him. For this reason, I don’t know how much Harrison really got from the sparring sessions with Wilder or whether they’ll be enough to help him beat Price. Wilder and Price are two completely different fighters. Wilder has better hand speed, arguably a better right hand and left hook, but he doesn’t jab like Price. Wilder doesn’t fight anything like Price. What you see is what you get with Wilder. He’s on top of you the moment his fights start, and you don’t have much time to think before he lands one of his huge right hands. With Price, he’s more subtle. He’ll use his jab and then look to land a big right hand behind it. Price also has a much better left hand than Wilder, and that’s something that I doubt Harrison will be prepared for. Next boxing news: Miguel Cotto vs. Austin Trout: Will Junito be in trouble on Dec 1st?